If you are confined to a wheel chair, either temporarily or permanently, you have probably experienced the frustration that comes with finding a way to access the upper level of a home or business when there is no elevator available. However this frustration is no longer necessary thanks to the advent of wheelchair stair lifts. Wheelchair stair lifts are a lot like other stair lifts with the exception that the user does not have to get out of their wheel chair to utilize the lift. On your typical stair lift you will find a cushioned seat with two arm rests and a safety restraint. 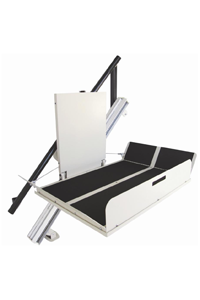 But a wheelchair stair lift differs in that it is simply a platform with auto folding ramps for entry and exit. This makes it simple for those in wheelchairs or motorized scooters to scale a set of stairs in a matter of minutes. Wheelchair stair lifts also come with an array of safety features to ensure the well being of the rider. You may fear that the addition of a wheelchair lift to your home will take up a great deal of space because the platform is large enough to accommodate a wheelchair but it conveniently folds up so it sits a mere 12 inches from the wall when it is not in use. 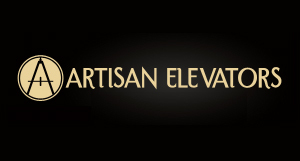 This 12 inches of space that the lift consumes pales in comparison to the sense of freedom that the lift will give to those who use it, whether it be yourself, family members, or friends. When you are having your wheelchair stair lift installed in your home it is important that you have it installed by a professional. A reputable professional will know how to safely install your lift and teach you how to operate it and keep it in excellent condition. If you attempt to install a stair lift in your home by yourself or ask an uncertified person to do it you will run the risk of putting whoever uses the lift in danger. The installation of a wheelchair lift in your home can bring a word of ease to the people who use it. You may also want to consider installing a wheelchair lift on the exterior of your house if you have an elevated porch or deck. Being in a wheelchair is not always the easiest, by installing a wheelchair lift in your home you can make your own or a loved ones life substantially easier.